UPDATED: Thu., June 28, 2018, 5:19 p.m.
Former Eastern Washington basketball star Jacob Wiley will play for the Dallas Mavericks in an NBA Summer League, the team announced Thursday. Wiley, the 2017 Big Sky Conference Player of the Year, signed with the Brooklyn Nets as an undrafted free agent last summer and was released in January. He appeared in five regular season games. 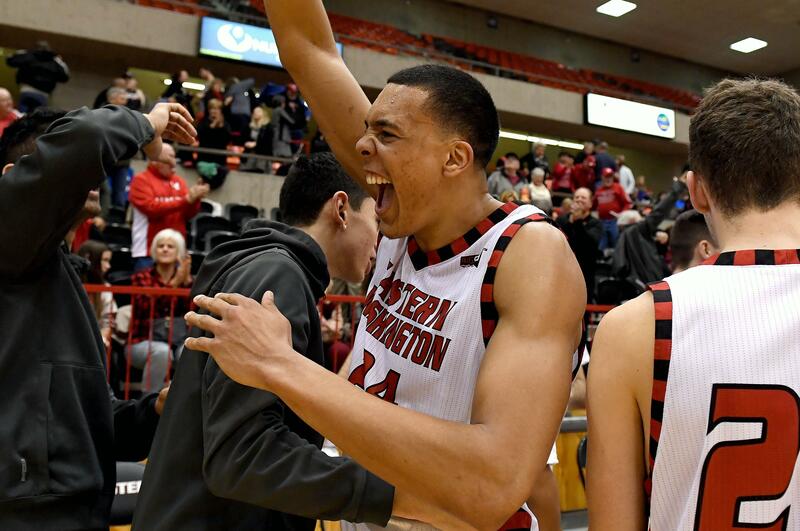 The 6-foot-8 forward from Newport, Washington is one of two former EWU standouts in the summer leagues. Bogdan Bliznyuk, the school’s all-time leading scorer, signed with the Los Angeles Clippers last week as an undrafted free agent. Wiley was slated to play with the Gonzaga alumni team A Few Good Men in this weekend’s TBT at Lewis and Clark High, but will now miss the Spokane portion of the tournament. Former University of Idaho guard Jeff Ledbetter will be play with San Antonio Spurs in the NBA Summer League. Ledbetter, 29, played for the Spurs’ G-League team, the Austin Toros, this past season. There are two former Vandals in the NBA Summer Leagues, including Victor Sanders, who signed a free agent contract with the Denver Nuggets. Published: June 28, 2018, 3:49 p.m. Updated: June 28, 2018, 5:19 p.m.